Home Hybrid Battery Reconditioning Equipment You Can Use! Hybrid Battery Reconditioning Equipment You Can Use! 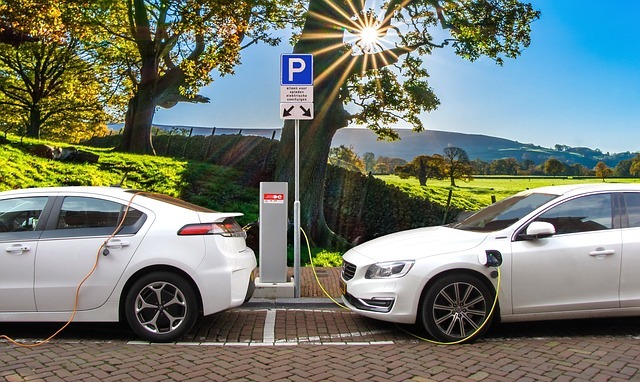 If you are planning to have your NiMh hybrid car battery reconditioned, then you will have to prepare for an expensive and time-consuming process. Reconditioning a hybrid battery is a process that can’t be rushed to ensure success. However, it is a process that you can do by yourself. And by doing so will allow you to save a lot of money and do it with a lot of personal time that you can afford to spend. All you have to do is to have some patience and the right materials to do it. This article will help you create your own hybrid battery reconditioning equipment and will teach you the proper steps on how to do the process properly. It will also provide you with all the important aspects that you have to consider for the process to succeed and achieve the result that you are going for. The article will also give a list of the materials that you need for you to create the equipment that you need for the process. So if you are excited on doing this, let us start by taking a look on the important aspects that we need to keep in mind. Before we start talking about the entire process, we first have to discuss some of the important aspects to keep in mind. This aspects include the materials that we need for creating the equipment, precautions that we have to remember and vital information that will help us to be successful and reach our goal. Aside from these materials, you will also have to have the patience and time to do the entire process. Unless, you won’t be able to complete the process and fail. In doing this process, you have to make sure that you are wearing the proper safety gears like gloves and goggles. There is a possibility that you can get electrocuted during the process if you are not careful and you don’t wear the right protective gears. So Make sure to wear the proper protective gears during the entire process. Now that you know the risks of the process and you know all the material that you need, you are now ready for the next steps. The steps that will allow you to get the battery ready for the reconditioning process. Let us start by parking your car on a location where it can for a couple of months. 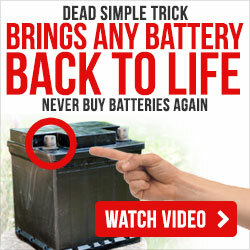 Since you are going to remove the battery of your car and render it useless during the entire process. Then you are going to look for all the connections on the battery that you will need to disconnect to allow you to bring out the battery of your vehicle. You have to disconnect all the wiring that connect to the battery for you to get the entire battery out and get it ready for the reconditioning process. Use the standard hand tools that you have and the number 30 Torx driver to help you with the whole process and make sure not to tangle any wires to avoid any issues when you are going to return the battery in place. Make sure that you will set up your work area in a climate-controlled location and with excellent illumination. This will make your work area more inviting and it will also boost progress. Take note that the “yellow sticks” on the battery are the ones that you will recondition and you can’t disassemble them. Each of these stick will have a “square” and a “hex” end to indicate polarity, where the square represents the positive. You also have to be careful of the small sensor wires attached on the sticks since they can be pulled apart easily. They are going to be important once you are going to put the battery back into your car. Now we ready to recondition the sticks of the battery. The best way to do it is to take the user’s manual of the charger or reconditioning machine you are going to use and follow the correct steps indicated on it. Then do it one by one on the sticks until all of them are fully charged. Set the machine to three discharge-charge cycle before you start the lengthy process of reconditioning. You will have to do this for a couple of months to make sure that every stick is reconditioned and working right. That is how you can create your own DIY hybrid battery reconditioning equipment and how to do the entire process. All you have to do is to have the willingness to do it and the patience to execute the entire process. All of the material s that you need are listed above and the steps on how to proceed are also detailed. Following this will help you save you money and recondition your hybrid battery.